You miss the Honda S2000? Sure you do. I do too. It's not easy saying goodbye to something that special. 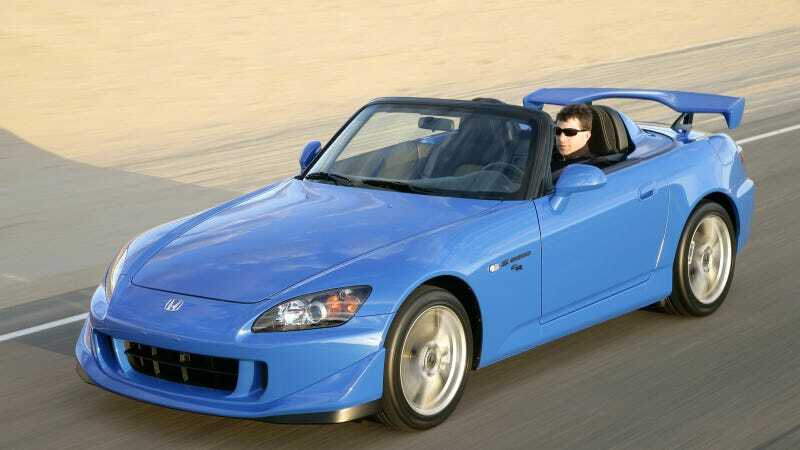 But if you believe an unconfirmed and anonymous source at an enthusiast website, a new S2000-type roadster may be in the works at Honda. Take this with a grain of salt. The website GTChannel says, according to an unnamed source within Honda, that the company is working on a new compact rear-wheel drive sports car to compete with the Mazda Miata and Scion FR-S/Subaru BRZ. The car would be small, probably even smaller than the Mazda MX-5, and come equipped with either a 1.3-liter or 1.5-liter inline-4 with i-VTEC. If the latter, it could well be the current engine under the Fit’s hood that can produce up to 132 hp. The car would be very light, about 900 kg or right at about 2000 lb., making it very quick and agile. It would of course be rear-drive, and come with a 5-speed manual gearbox. Our source says he would like to see the car priced around $20,000. There’s even talk that the “S1500” may come with a mid-engine layout, a la the Honda Beat. As always, take this report with a big grain of salt, as we have no similar news, spy photos or other reports to back it up. I'd love to see Honda get back in the roadster game as well, but considering how hard the company worked to abandon its sporting DNA in recent years, I'm not terribly optimistic.